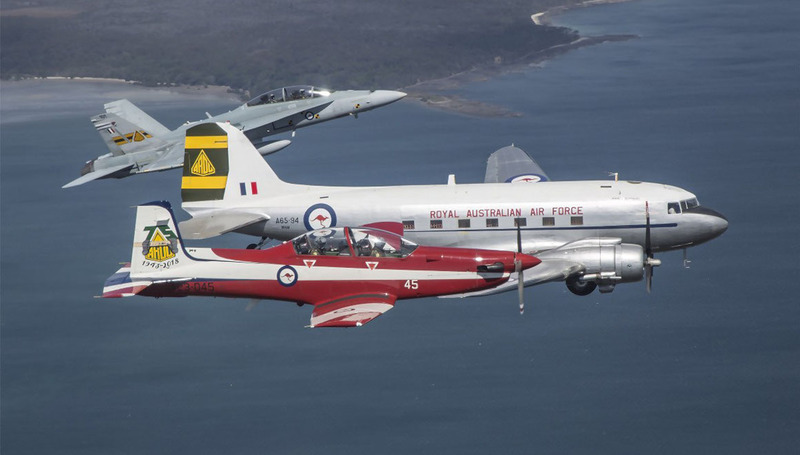 The RAAF Aircraft Research & Development Unit – ARDU – is commemorating the 75th anniversary of its establishment with a series of social and formal events in Adelaide in November and December. ARDU was formed as No 1 Aircraft Performance Unit at RAAF Laverton near Melbourne on December 1 1943 with a mission to conduct flight trials of locally-built, allied and captured enemy aircraft. 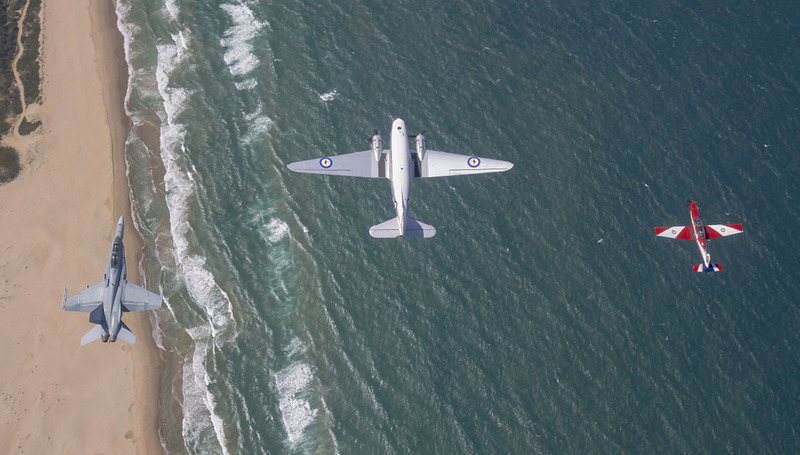 Also undertaken were flight trials of aircraft modifications and ancillary equipment, the evolution of tactical methods of employing aircraft and equipment, and co-operation with government departments, manufacturers and scientific research institutions. In September 1947 the units was renamed ARDU, and it relocated to RAAF Base Edinburgh in 1977. In 2005, ARDU was reorganised as part of the Development and Test Wing (DTWG), with ARDU retaining responsibility for Army and Air Force developmental flight test as a subordinate squadron. 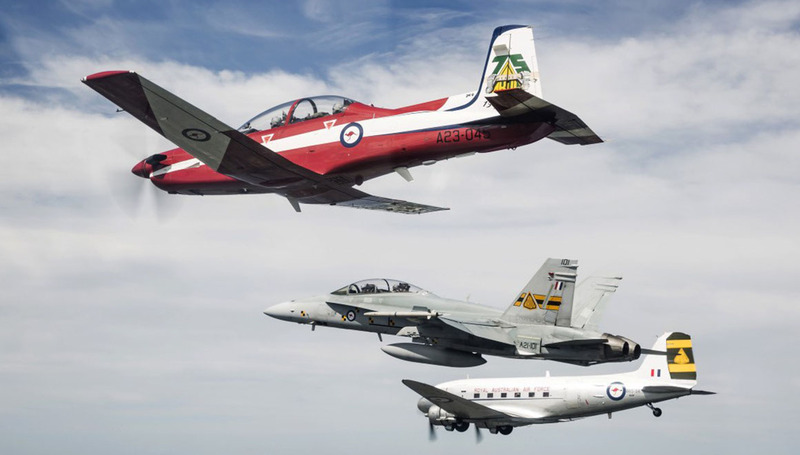 Then in January 2016, ARDU was reorganised within the Air Warfare Centre (AWC) under Plan Jericho, while the Army elements were disbanded leaving only RAAF members. 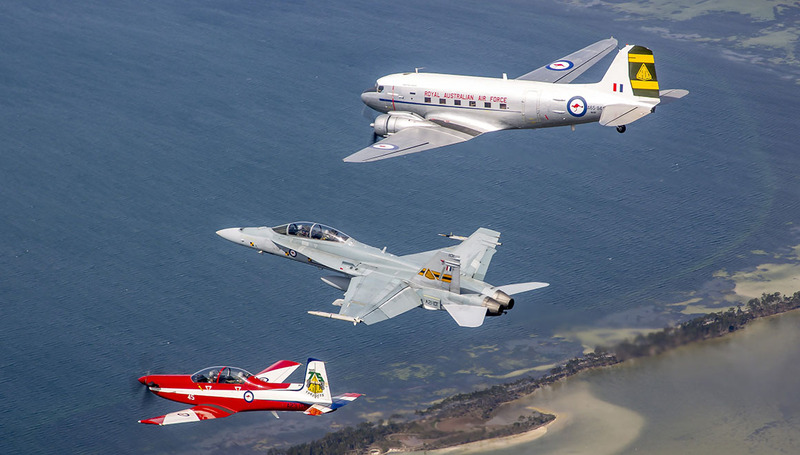 To commemorate the anniversary, on October 23 the RAAF conducted a formation flight over the NSW south coast with a former ARDU (and the RAAF’s first) McDonnell Douglas F/A-18B Hornet, A21-101, a former ARDU Douglas C-47 Dakota now belonging to the Historical Aircraft Restoration Society (HARS), and an ARDU Pilatus PC-9/A with commemorative tail markings. For more information on ARDU 75th anniversary events, visit http://www.ardu75th.com. Mirage A3-16 is now on display in ARDU colours at the Queensland Air Museum (QAM), Caloundra, Sunshine Coast. Yes I have Scott & the orange Mirage on video somewhere from the 1988 Bicentennial Airshow in Richmond NSW. It was a great Mirage display. That F18 is flat out trying to go slow… Great photo. ARDU Mirage (A3-115) at RAAF Base Edinburgh is on the move. Seen on a flat-bed semi trailer this evening (Thurs 01 Nov) outside the fence line of the base waiting to go.